Keeping your food production facility clean is a huge concern. Between the equipment and the facility itself, there are many places that food particles can get stuck. While this might not seem harmful to production, you know that the leftover food particles make the perfect home for bacteria. Even worse, you’ve learned that many ways of cleaning are not thorough or efficient enough for your needs. You’ve done your research and have heard about dry ice blasting, but how will you know if it’s the best cleaning method for your facility? The dry ice explodes at a high velocity against the material needing removed. It shrinks and loosens it up for easy removal. The ice penetrates the surface, warms, and converts back to carbon dioxide gas. The loose material gets disposed of afterwards by simple vacuuming leaving no additional waste besides the material removed from your surfaces. Many food facilities effectively utilize this method. It is safe to use with food processing equipment of all materials and can be completed quickly since there is no need to change cleaning methods between surfaces. Even the FDA, EPA, and USDA approve of this system as it’s considered nontoxic. It also benefits employees by reducing time spent in contact with chemical cleaning agents. One little known fact is that dry ice stops mold and mildew growth. This is extremely important in food production facilities. It also eliminates fungi and removes odors by destroying the odor causing bacteria. This is safer and more effective than using chemicals to mask the smell these bacteria cause. This method of cleaning is 100% ecologically safe. It doesn’t harm humans, animals, or marine life. There is also no secondary waste generated by the method, making it the preferred cleaning method for environmentally motivated companies since.  Our record here at Blast-It-Clean shows our commitment to safety and doing a job right. We’ve had no recorded OSHA accidents since starting in 2001. The Blast-It-Clean Employer Experience Modifier Rating was .78 in 2016. Since 2008, we have been a registered contractor with ISNetworld. Our technicians have the training to work in all environments and closely follow our processes to document the safety throughout each aspect of the project. If there is a problem, we have insurance for that too. We can even provide references so that you can be sure we will do the job correctly in the the timeframe we quote you. We are results oriented. A job isn’t done unless it is done right. We are able to work 24 hours around the clock to get a job done on time and minimize shutdown of your food production facility. Contact us today to learn more about dry ice blasting and other services.